Wow, it is almost June and this week on the Tando Creative blog we have a new colour theme for the upcoming new month! 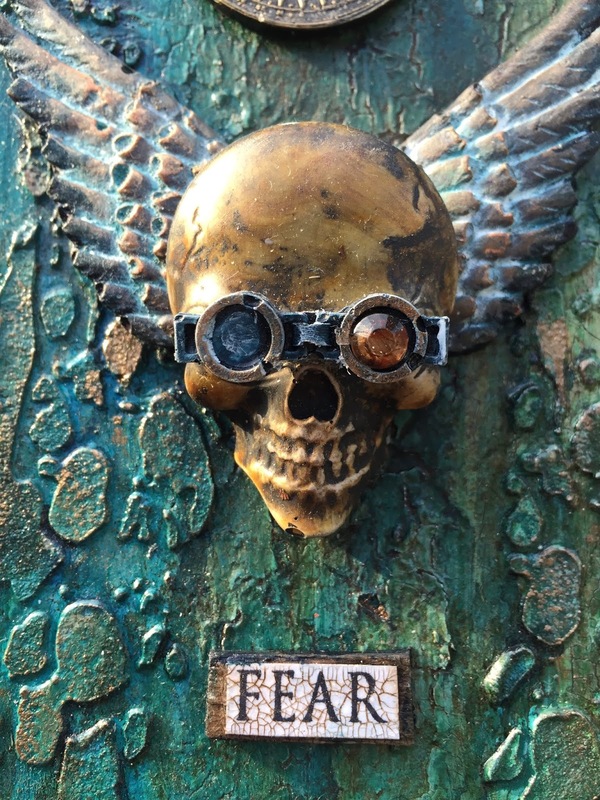 After assembling all the pieces I finally added a couple of Tim Holtz stickers as a finishing touch. Hello, Carol with you today to share my 6th media board of 2018. 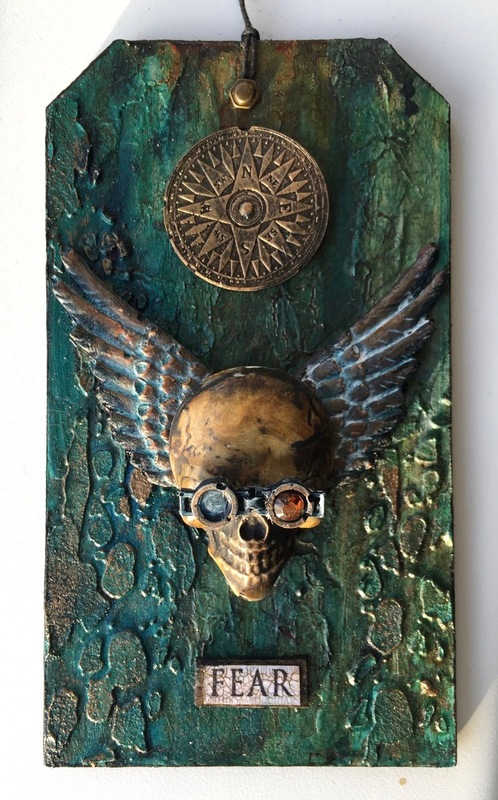 The base is the mixed media board 80mm x 116mm and was then given various layers of the DecoArt media fluids. 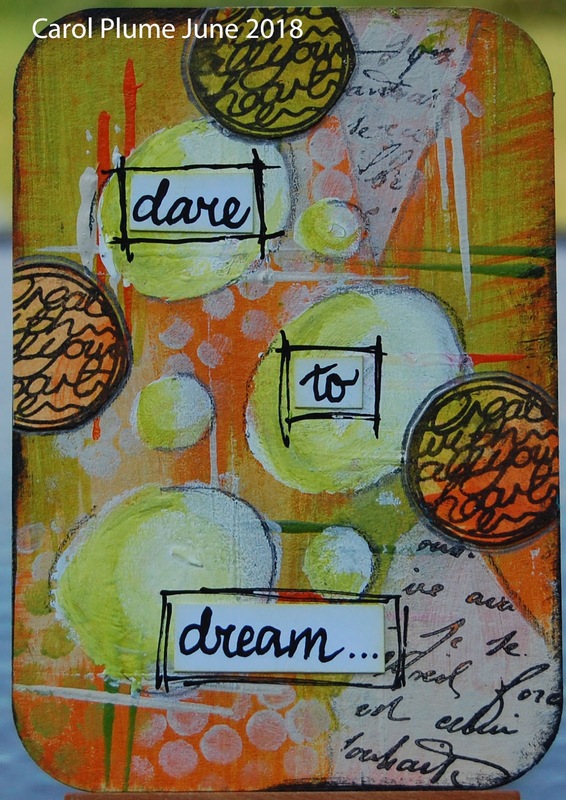 Using the same paints I created a masterboard and then used this to stamp out some circles… a hand written sentiment finished it off. Do pop back during the week to see what other DT members have created using the same colour ways. Hello! 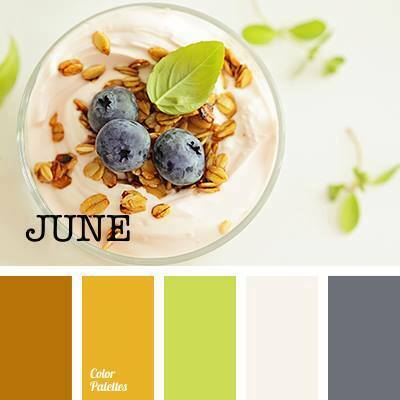 Here is the colour theme for June and my little twinchie! I have added a little row of flowers this month. 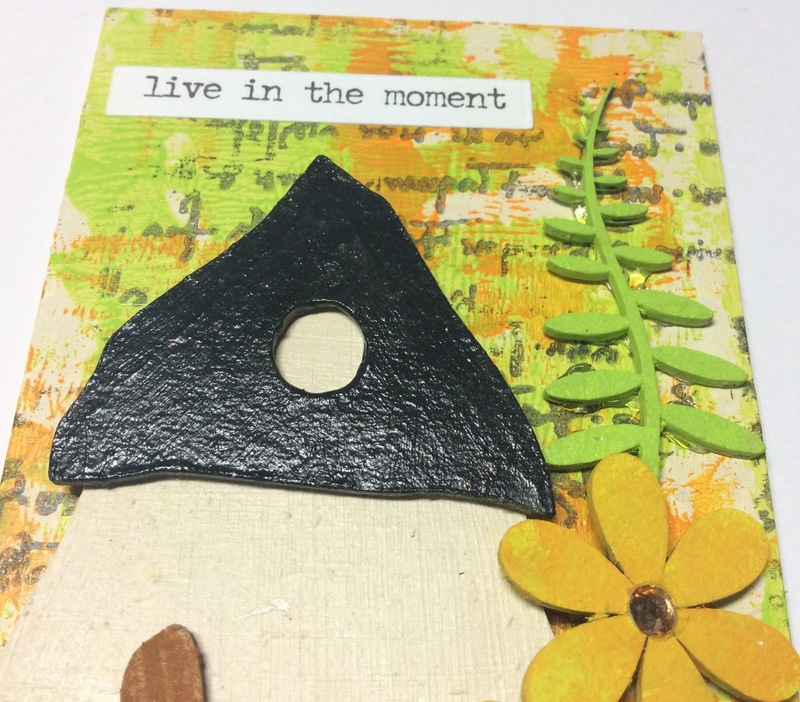 Hi folks, Lisa here with today's post for one of my favourite themes at Tando. This week it is the same but different week. The team gets the same Tando kit to play with to see what different ideas we come up with. It is so fun to see what everyone does with the exact same kit. The kit included a mixed media board, Andy Skinner's phone dials and word panels 1. 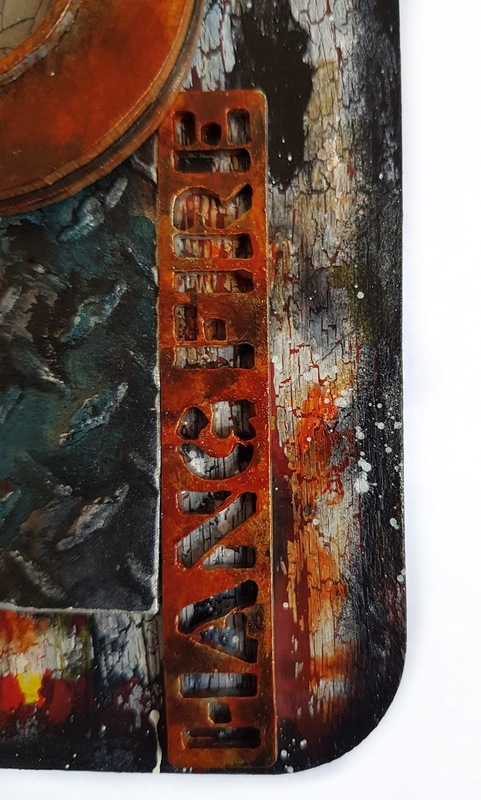 I started with applying modelling paste over the Andy Skinner distressed digits stencil to the mixed media board. 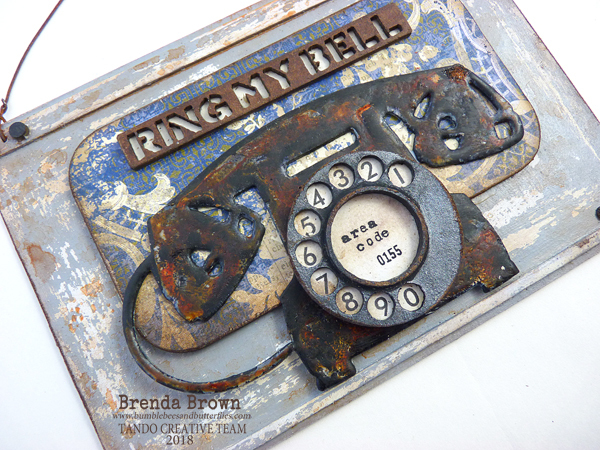 After it had dried I painted it and the phone dial with DecoArt Premium Acrylic Paints. 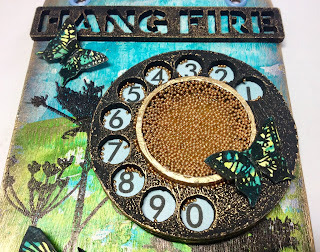 I added some blue ink to the numbers sheet included with the phone dials then added some DecoArt crackle glaze over the top and on the dial. I used some more modelling paste on a long tag then added the mixed media board in the centre of the tag. 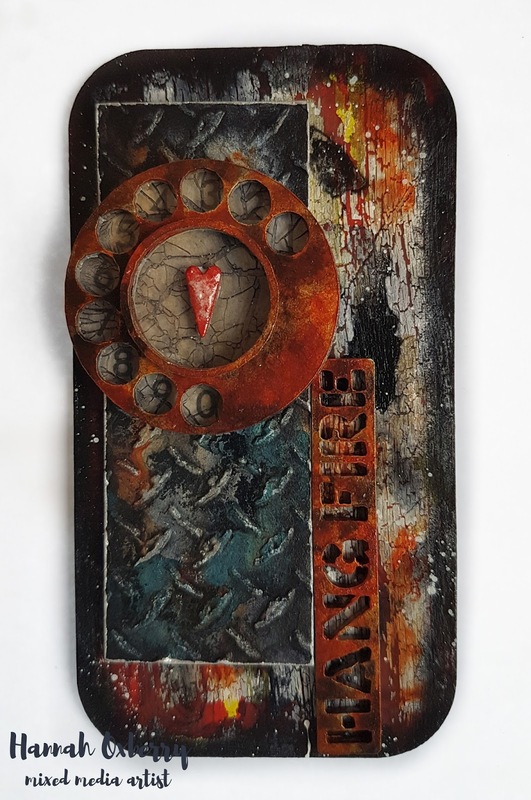 I used the phrase 'Hang Fire' from the word panels 1, painted it with the Premium paints and added it to the bottom of the tag. 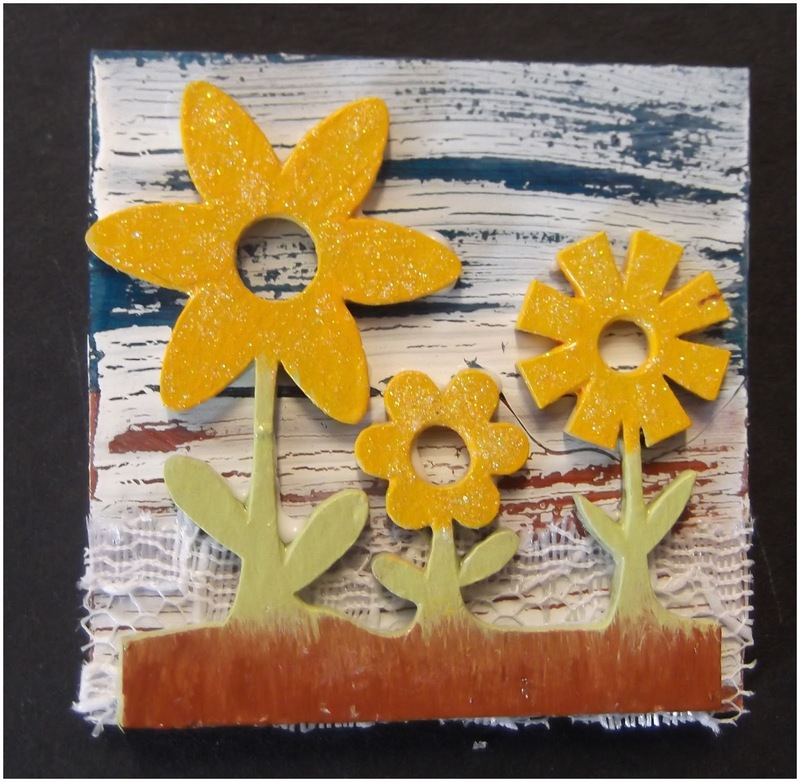 I then used some rusty wire, curled it around a paintbrush and added it to the tag. Thanks for popping by to see my same but different creation. Hi all, Hannah here with a project for "Same but different week". I love when we, as designers, get the same kit to work with - because every single project will be different! For my particular design I knew as soon as I opened the parcel how my design would be laid out. 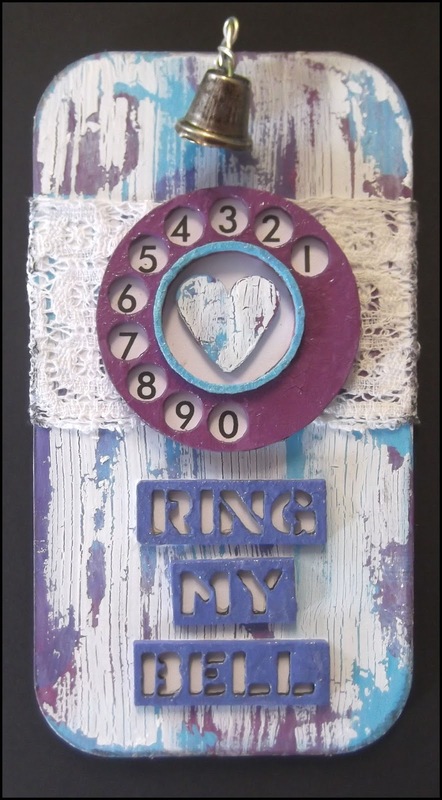 I have been coveting the tags created by fellow team member Fiona Randall for a while, the dial against the rectangular media board gave me the perfect opportunity to create something with her design as inspiration. I added a couple of my own Tando elements just to give the design a little more height. 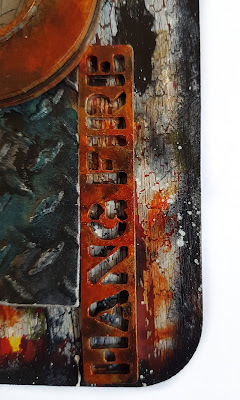 The dial and sentiment have been painted in a rust effect and mounted on a greyboard off cut which has been embossed with a metal effect. 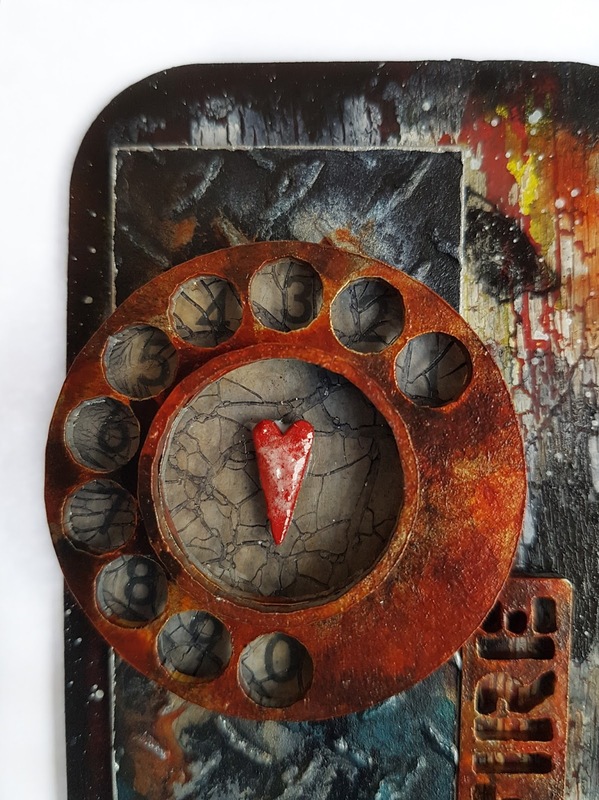 I have also included an acrylic layer on the dial which has been treated with a crackle glaze to add another textured dimension. 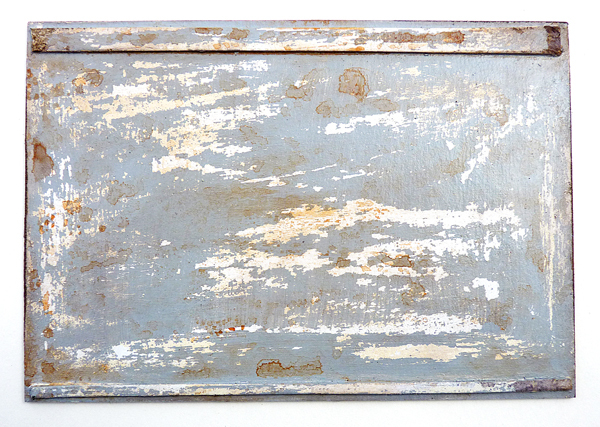 The background has been layered with different colours, crackled and aged using a variety of washes. A splater of white across the surface lifts and highlights the layers. The edge of the media board has been sponged with Paynes Grey. 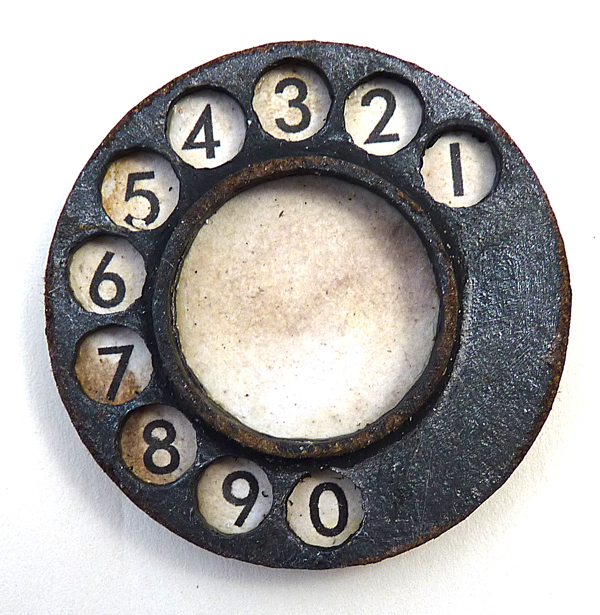 To the center of the dial I have added a small textured heart which I have added embossing powder to. I hope you have enjoyed this project, thank you again to Fiona for her inspiration! I love seeing all the projects in Same But Different week as it is always fantastic to see how many different styles can be created using the same products! I added some Decoart liquid glass to the centre of the telephone dial and then poured micro beads over the top. To create the hanger I used my crop a dile and added some eyelets and gold wire. 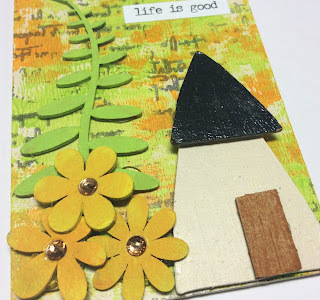 I hope you have been getting lots of inspiration this week, thank you for looking and happy crafting! This week on our blog we have a 'Same but Different' week where those of us taking part receive the same products to use and then at the end of the week you can look back to see how similar or different the finished pieces are. 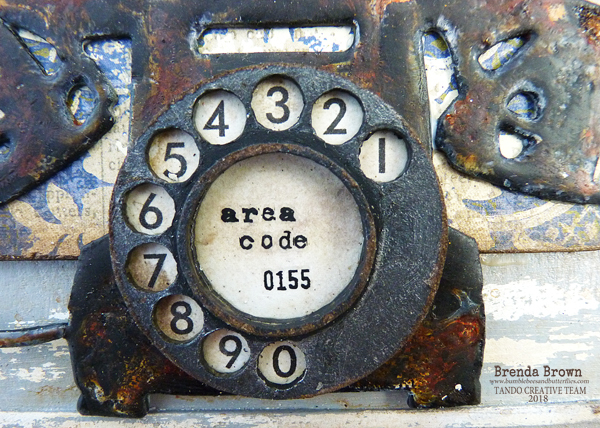 I have added a vintage telephone die-cut and a larger media board to mix it up a bit. 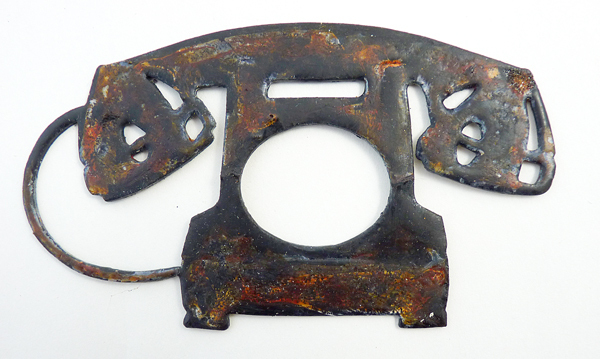 This is the little phone dial kit we received. - Take the telephone die-cut, paint it with black gesso to seal it and when dry give it a coat of black embossing powder, flicking some of it off before heating it. Give it a quin gold mixed with titan buff wash of paint and dry it. Repeat the last two steps again bit with clear ultra thick EP and quin gold on its own. When cool rub over with a coffee archival ink pad and then give a coat of ultra mate varnish. - Take the large media board and glue some strips of greyboard to it (I cut these myself from a left over piece). Paint over a coat of white gesso - dry - rub over some candle wax and then a coat of Titan Buff media fluid acrylic. Heat dry and rub over with dry kitchen towel to remove some of the paint. Repeat the wax rubbing and paint a coat of light grey media acrylic. Again dry and rub paint away. Finish by sanding some edges and blending in ground espresso distress inks. 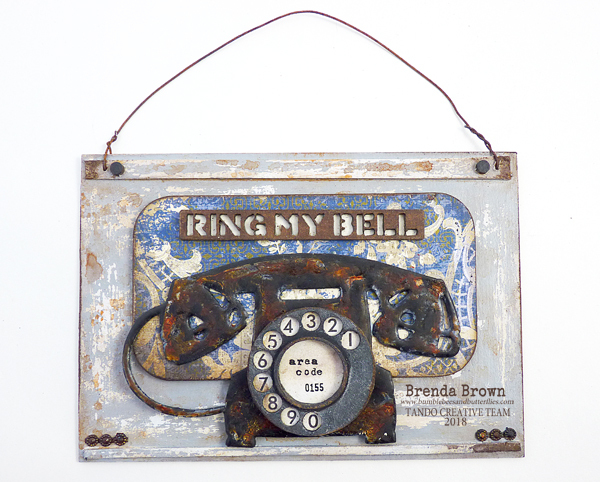 - Take the dial and cover with black gesso, when dry rub over a thin layer of silver metallic lustre. Lightly sand back some random parts on the edges and blend over ground espresso distress ink. 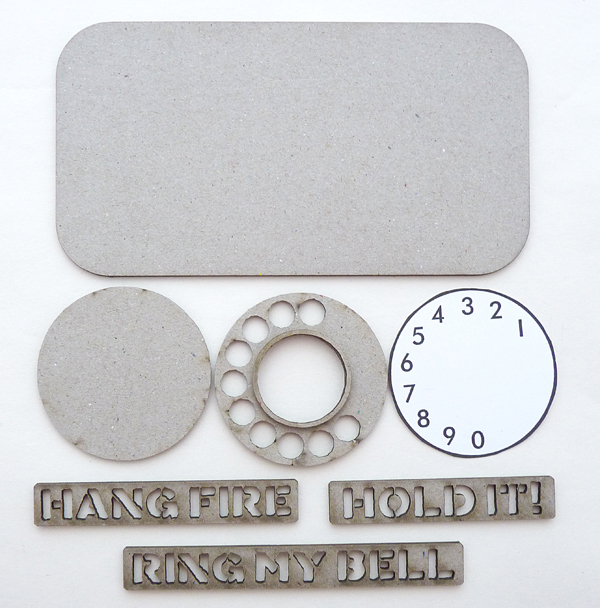 Distress the clock face with the distress ink, seal with matte medium and assemble the dial pieces. 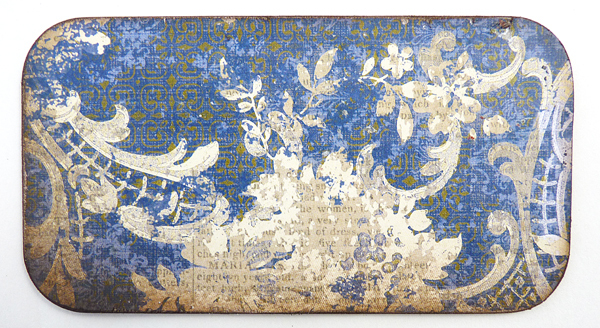 - Take the smaller media board and cover it with a piece of patterned paper. I used one that was already looking distressed. Sand the edges and blend brow distress ink around the edges. 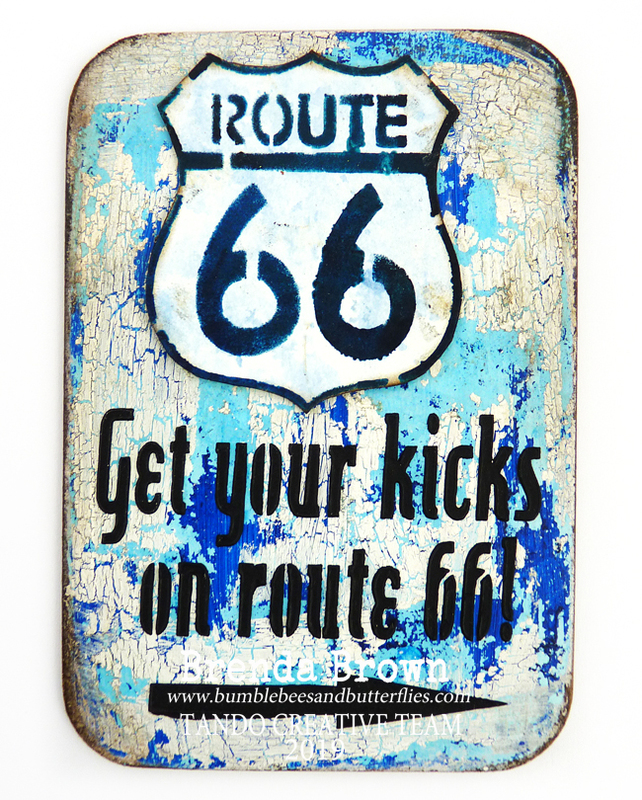 - Take the label, paint it with burnt umber and sand some of the edges when dry. 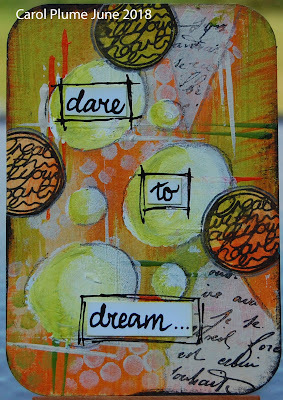 Blend round brown distress ink and then mount it on white paper so that the words stand out. 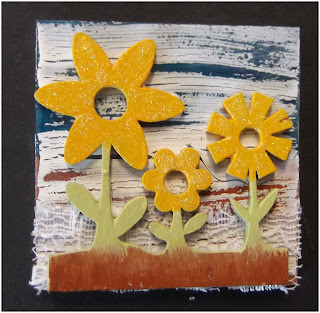 ... and I added some rusty painted gems and little circles from nuts and bolts kits. Finally hang with some rusty wire. Ok so let's see what the rest of the team reveal this week using the same original kit. Hi everyone Dee here with my make for anything goes week I have this lovely skull again I love him! I used a Tando tag and France Papillon Stencil. 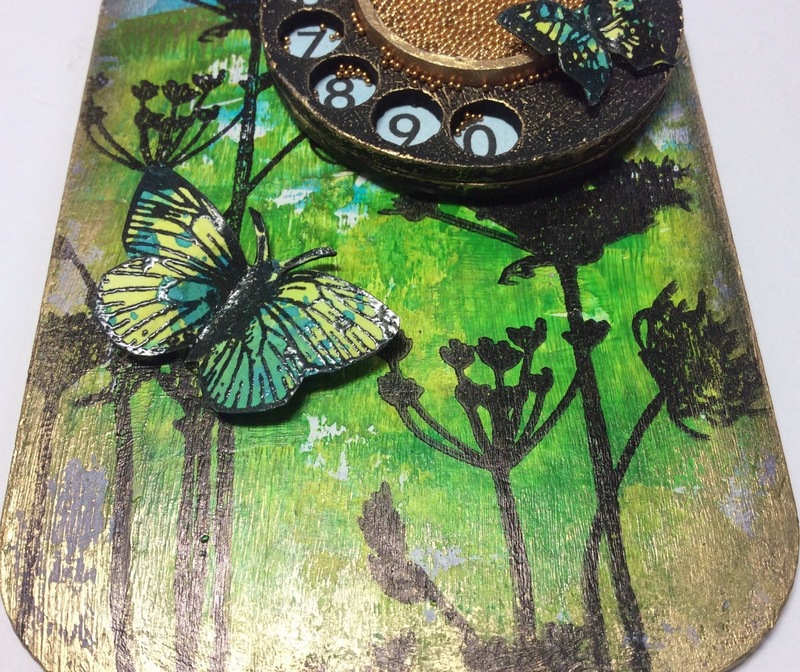 I used Deco art texture paste/crackle paint, along with media paints, antiquing cream and varnishes. 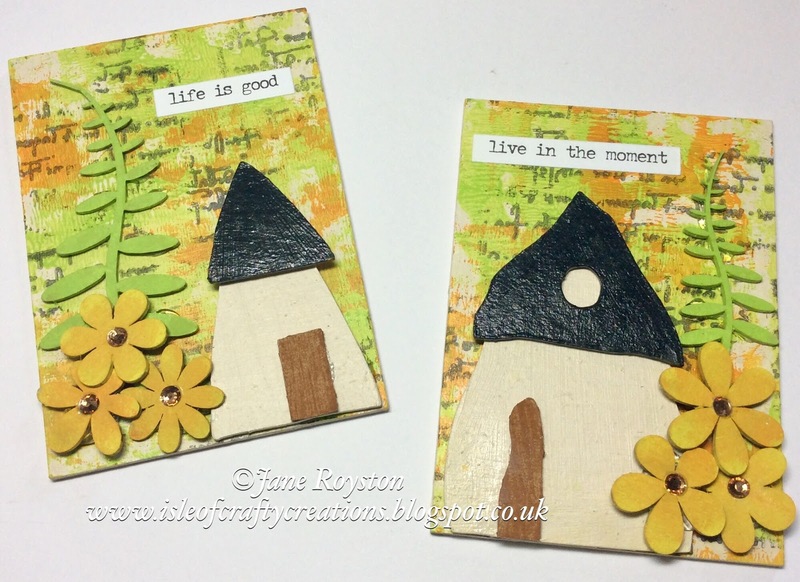 I used lovely artyco moulds for the coin and glasses these were painted with deco art media acrylic paint. 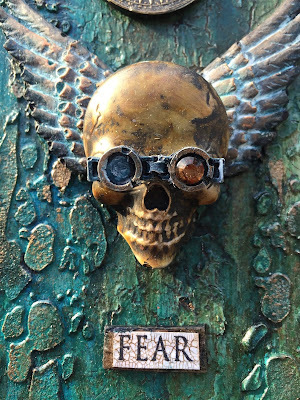 I stamped Fear from Andy's Skinners word plate from illusionary artists. Thats all for today folks feel free to leave a comment or ask any questions. Hellooooo! My project for this Anything Goes week is a pair of *folders*. 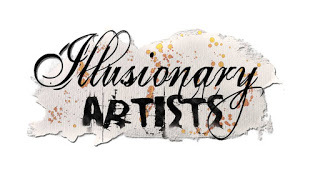 These are especially designed to fit the newer masks/stencils. They have really clever bendy spines which make them so much easier to decorate! I have kept mine fairly simple....adding bold colours to the big flowers. Here they are laid out flat... they do look a bit yellowy but are white backgrounds! They are similar on the inside. For the base I laid down a few bright colours and then a layer of *Weathered Wood* adding white after it was dry. 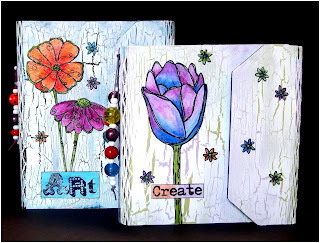 The flowers have been stamped onto thin card and coloured with watercolour pencils. A touch of clear glitter was added to them. I added Velcro to fasten and some beads for more colour!!! !